There were more special editions than I could cram in here. Pictured are the Lamy Studio Racing Green (sold out) and the Piano Black (still available). Deals & Drops Oktoberfest Edition! Not only does October mark the real beginning of fall for those of us in the mid-South, it’s also apparently a great month for all the Oktoberfest beers and all of the new releases from the German pen companies, two of my favorite things. 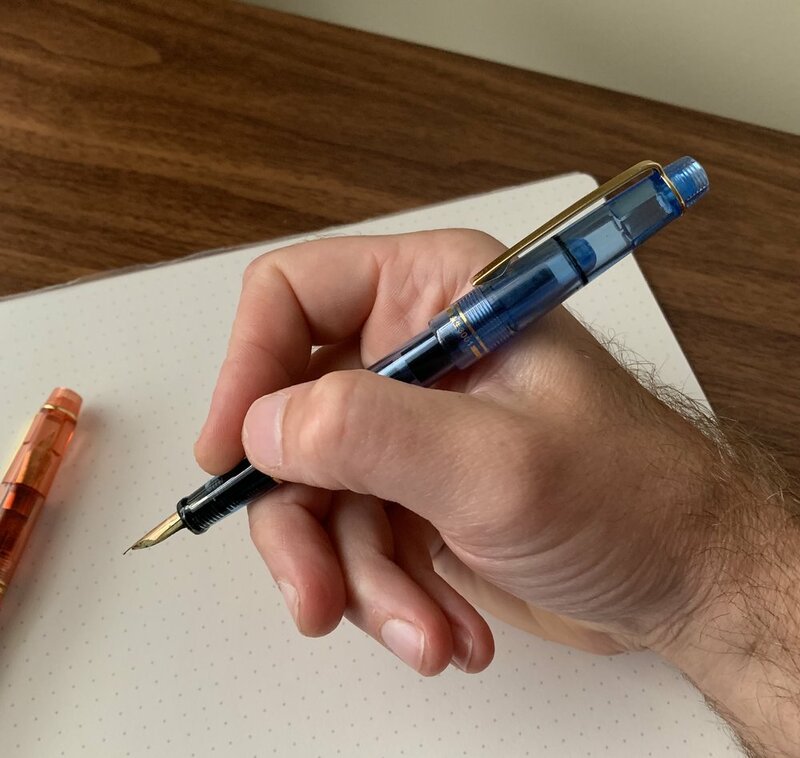 I can’t really advertise beer on the site, so you’ll have to settle for pens, and Lamy, Pelikan, Kaweco, Diplomat, Montblanc, Faber-Castell (list goes on…) all have been on a tear lately. Happy shopping! Pelikan M205 Olivine (via Vanness Pens). This year’s M205, like this year’s Edelstein Ink of the Year, is one of the best I’ve seen. And dark green demonstrator pens are relatively rare. There’s also a set with the Olivine Ink if you missed out on your bottle at Pelikan Hubs. Pelikan M205 Transparent (via Vanness Pens). It’s surprising that Pelikan had not released a transparent M205 demo until now, but here it is. Pelikan M800 Stone Garden (via Pen Chalet). Pre-order only for now, but this one might be the best annual M800 release in a long time. Pelikan M600 Vibrant Orange (via Pen Chalet). Pelikan. Killing it and searing your eyeballs. Pelikan M815 Metal Striped Fountain Pen (via Appelboom). Pelikan has, in my opinion, killed it this year with the special editions. I was able to handle this pen at this year’s DC Pen Show and it’s beautiful. Kaweco Art Sport (via Vanness Pens). Kaweco has released a new series of Art Sport fountain pens. While these come at a higher price point, they’re turned acrylic rather than injection molded plastic, and you can feel the difference in hand. Montblanc M (RED) Designed by Marc Newson (via Appelboom). Montblanc has released a project (RED) version of its model M. I like where Montblanc is going with this series! My review of the “M” here. Diplomat Traveler Flame Fountain Pen (via Vanness Pens). Diplomat is one of the more overlooked German pen brands, but in my opinion it’s also one of the most reliable. This flame-treated version of the slim “Traveler” model is quite unique and priced well to boot. Diplomat Aero Anderson Pens Exclusive (via Anderson Pens). This pen is a stunner. Anderson Pens have an exclusive color of Diplomat Aero in a flame red that you can pre-order now. My review of the Diplomat Aero here. Lamy Studio Olive and Terracotta (via Appelboom). 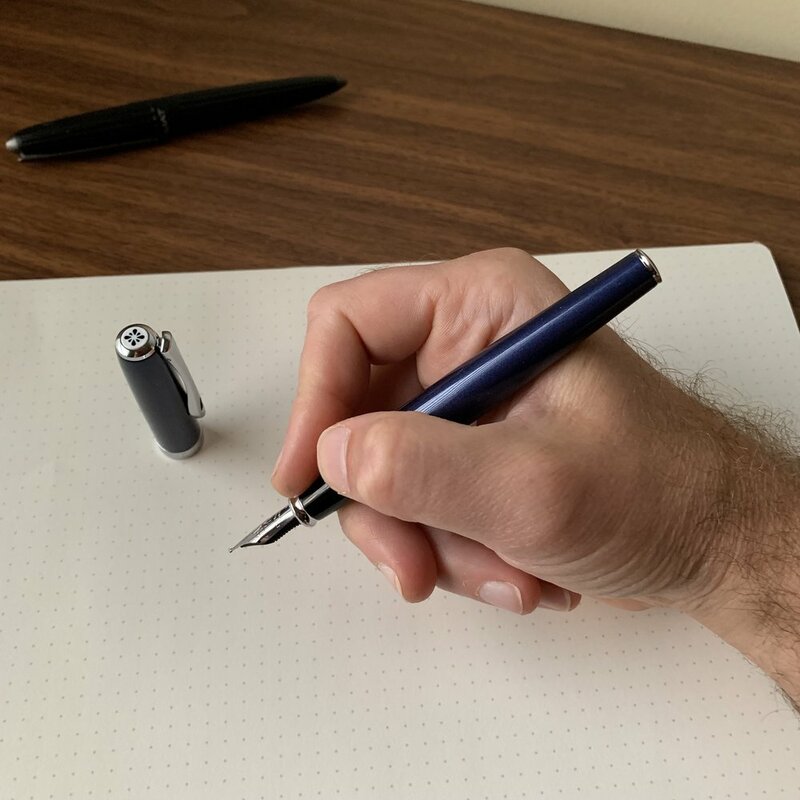 Lamy also seems to be upping its limited edition game this year with some excellent colors of the Lamy Studio, in my opinion a highly underrated pen. Faber-Castell Essentio (via Anderson Pens). In terms of reliability and nib quality, Faber-Castell sits at the top of the low-to-mid-range fountain pen game. The Essentio is their new offering at the sub-$50 price point. Otto Hutt 06 Fountain Pen (via Pen Chalet). 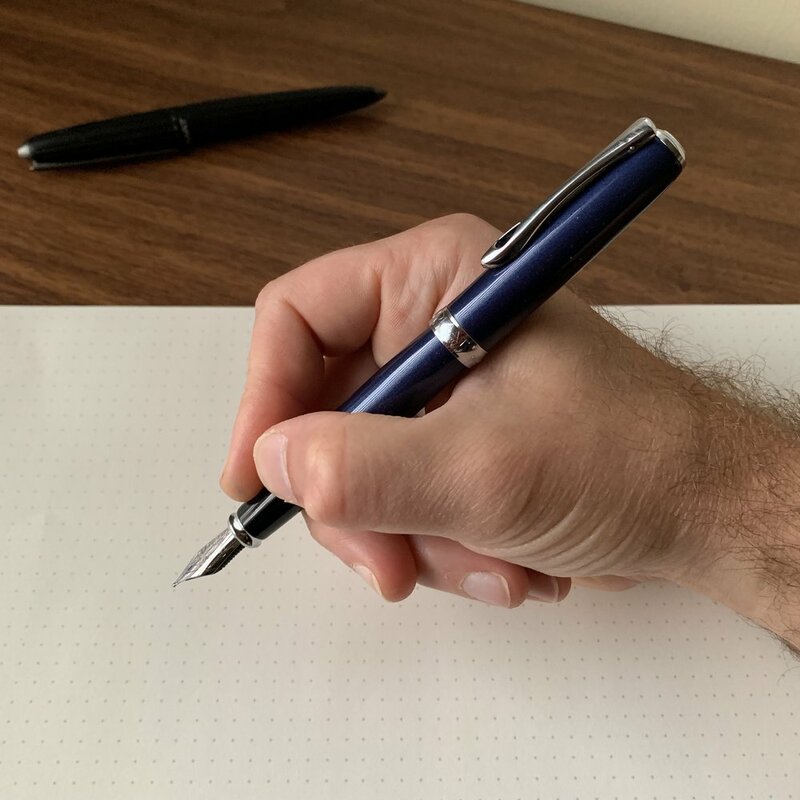 Otto Hutt is a high-end German Brand that I’ve long loved, but until now has not been widely available in the U.S., which I understand to be due to issues with MSRP that made the pen difficult to sell. That seems to have changed. Check out my full review of the Model 06 here. Pelikano Up Fountain Pen and Ink Gift Set (via Goldspot). For this week’s “weekly dip,” Goldspot is offering a Pelikano pen, converter, and five Edelstein ink samples at a reduced price. A great opportunity to explore Pelikan if you haven’t already! Diplomat Excellence A2 (via Pen Chalet). An excellent (pun intended) pen that gets little love. It reminds me of Waterman pens from that brand’s 1990s heyday. Pelikan M600 Turquoise White Fountain Pen (via Pen Chalet). 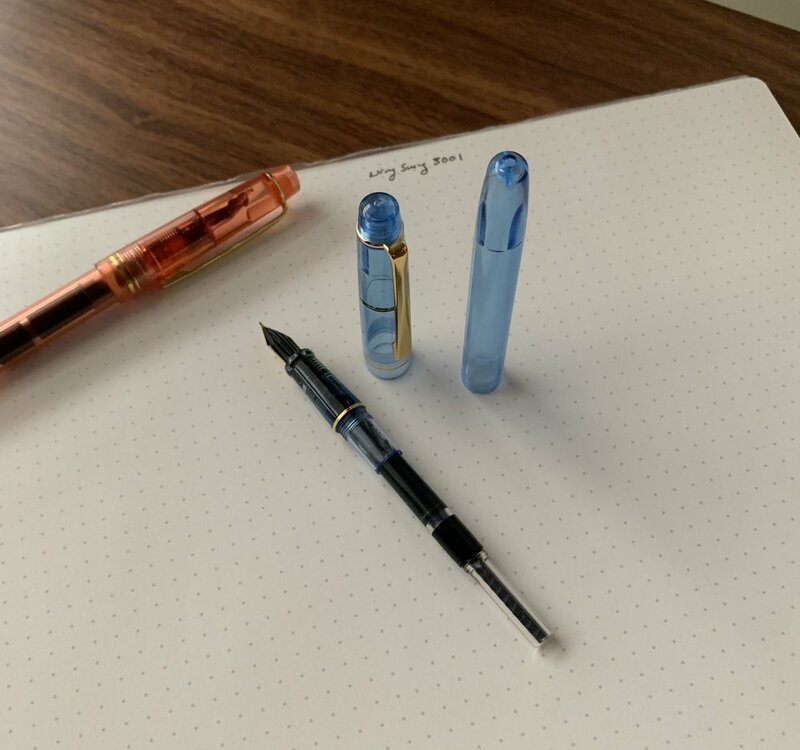 More Pelikan! Pen Chalet has the M600 in Turquoise White available at a steep discount.